I spent a total of twenty-six years leading churches as a senior pastor. But when I was a young leader just getting started in my career, my focus wasn’t initially on serving people. It was on doing big things and getting ahead. All my training and education assumed a hierarchical approach to leadership. Pastors were educated, ordained, and positioned to sit apart from and “above” their congregations. We were expected to preach messages, give wise counsel, and conduct the ordinances of the church. The models of leadership were all top-down. 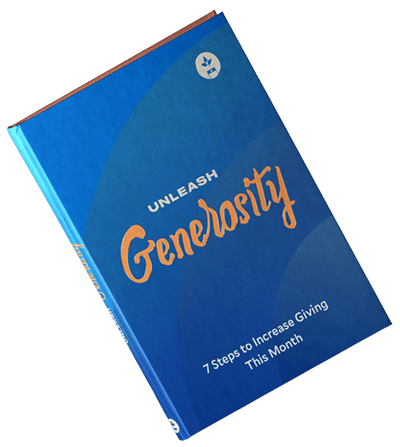 But then I went to hear Zig Ziglar speak, and I heard him say, “If you help people get what they want, they will help you get what you want.” What he was really talking about was servant leadership, and that idea rocked my world. Zig’s comment made me realize something: I was trying to get others to help me, not trying to help them. I realized my attitude toward people wasn’t right. And that knowledge started me on a journey that eventually made me realize that the heart of leadership is based on serving others, not myself. It challenged me to invert the “power pyramid,” putting others at the top and myself at the bottom. This made it clear that my responsibility as a pastor was to equip God’s people to do His work and build up the church. From that moment I realized I wasn’t supposed to get the people to help me build my congregation. I was to serve people and help them build God’s church. From that day on, my leadership has always been about serving others, and not about being served by others. The servant-leader is servant first. . . . It begins with the natural feeling that one wants to serve, to serve first. Then conscious choice brings one to aspire to lead. . . . The care taken by the servant-first [leader is] to make sure that other people’s highest priority needs are being served. The best test, and difficult to administer, is: Do those served grow as persons? Do they, while being served, become healthier, wiser, freer, more autonomous, more likely themselves to become servants? And, what is the effect on the least privileged in society? Will they benefit or at least not be further deprived? Others books, such as Leadership Is an Art by Max De Pree, the former chairman of Herman Miller, and The Soul of the Firm by C. William Pollard, chairman emeritus of ServiceMaster, also assisted me on my journey to becoming a servant leader. But the book that made the greatest impression on me was Eugene Habecker’s The Other Side of Leadership. It convinced me that adding value to others needed to be at the core of my leadership. I Don’t Rely on My Position or Title: I’m grateful for the accomplishments I’ve made, but I don’t rely on them to help me lead. I work to earn respect every day by delivering on what I promise and by serving others. I Choose to Believe in People and Their Potential: I care about people because it’s the right thing to do. But there are also practical reasons for believing in people. I’ve found that the more I believe in people’s potential and the more I serve them, the more their potential increases. That creates a win for everyone. I Try to See Things from the Perspective of Others: It’s possible to lead and serve others well only when you know their minds and hearts. I intentionally connect with people and try to see from their point of view to serve them better. I Work to Create an Environment of Encouragement: Few things are better than being on a team of people who desire to serve one another. When leaders are willing to serve people and encourage others to serve, a spirit of cooperation emerges where it’s “one for all and all for one.” That makes the environment positive and develops a sense of loyalty among team members. I Measure My Success by How Much Value I Add to Others: When you decide to serve others as a leader, the team’s success becomes your success. I remember when I experienced that change in thinking. It felt as though my world immediately expanded. It is true: one is too small a number to achieve greatness. Few things surpass helping your team to win together. I’m still not where I would like to be when it comes to serving people, but I’m continually striving to get better at it. 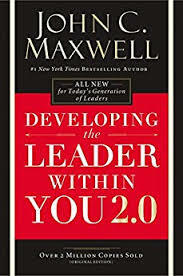 Editor's note: This is an excerpt from John Maxwell's new book Developing the Leader Within You 2.0. Used by permission of HarperCollins.